Discussion in 'Muppet Appearances' started by Phillip, May 21, 2018. 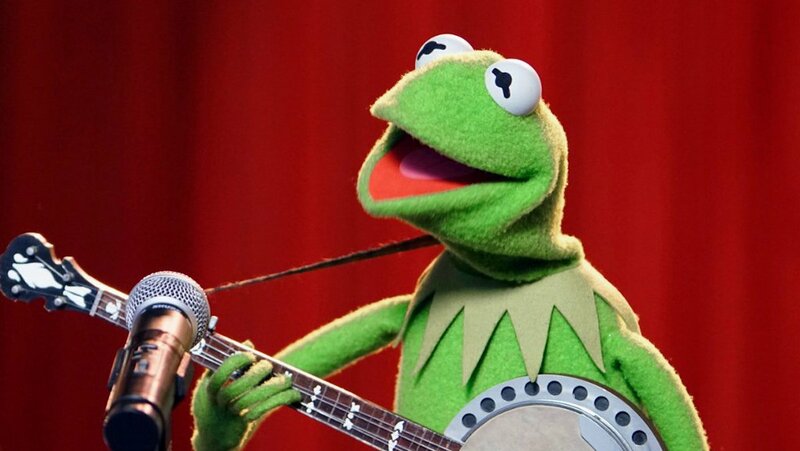 Monday night, don't miss Kermit the Frog sing a duet with a surprise guest on the season finale of American Idol at 9 eastern, 8 central on ABC. If you saw this appearance, please like this post and share your thoughts below. LittleJerry92, ConsummateVs and MuppetsRule like this. I thought it was nice enough. I kinda wanted him to sing something other than Rainbow Connection. I missed it. Hope somebody posts a clip. I thought Matt sounded good. But yeah, pick a new song. Matt's getting better and better with Kermit. I think he sounded slightly too deep this time, but still good. On a side note, that girl singing dosen't sound that good to me, sorry. LittleJerry92 and MuppetsRule like this. I though Matt sounded great. Maddie Poppe didn't sound great. I agree though another song would be nice. Unfortunately now days that is all most know about Kermit so that is what they expect. Yeah.... That woman cannot sing. Way too off key for me. Matt was pretty decent though. But yeah, pick a new song. Pfft. What other options do we have besides "Rainbow Connection" and "Bein' Green"? Cause let's be honest - they're not gonna do any other songs like "This Frog" or "Disco Frog" or "Carribean Amphibean", etc. Is Kermit a baritone now? cahuenga, Pig's Laundry and ConsummateVs like this. Guess so. I'm actually starting to dig his new voice. Froggy Fool and MrBloogarFoobly like this. Does anyone know who ended up winning? Well, why not? That would be a neat idea. After all, if they could have a video with and interacting, having Kermit sing his other songs including those from SS on American Idol isn't too much of a stretch. Something is still really off about Matt’s Kermit. He’s just missing something. It still sounds like a weak impression to me. cahuenga and dwayne1115 like this. There are a lot of mixed reviews on Facebook, and for me I'm kind of mixed about this as welll. I don't know if it's me but it sounded like the song may have been out of key, and that could be why both singers sounded flat. I mean the song itself just sounded off, but maybe that's just me. As for Matt as Kermit, I'm trying so hard to be open and accepting of this change but I can't. Maybe over time I will adju6, but I'm still not there. To me it feels like Kermit as a character is simply just a shell of his old self. There is no heart passion, or love here it was almost as if he was simply there because he had to be. Ah Rainbow Connection this song almost always brings tears to my eyes except for this time. This song has a very deep and special meaning, and I feel like some of that was lost in this rendition. 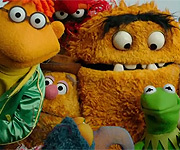 Not only is the song Kermit's singituer song, but it also defines who he and the Muppets are. One of the things Jim Henson wanted to do was make the world a better place, and he certainly did that with the Muppets. In the Muppet Movie Kermit goes after his dream to make 'millions of people happy" throughput the movie the other Muppets join him not because they believe in Kermit but they believe in his dream. Now we have talked before how there is no cannon when it comes to The Muppets, but up until recently there was, and that was the dream of "making millions of people happy". 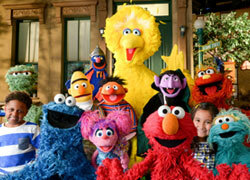 Which was not limited to just The classic characters but Sesame and Fraggle Rock as well. So sure Kermit could sing any other song but this song not only represents who he is, but also the life work of a Jim and the Muppets. Now I know who won. According to a tweet, it was indeed Maddie. Thank you Muppet Central. I'm not saying it's a bad idea. I just don't see it happening. Which is surprising due to the poor singing of rainbow connection. So you think it should've been Caleb then? No um er... I don't watch the show, I just know that was a poorly sung song. But I do agree with you on that one though. The Rainbow Connection is an overused song and something else should've been sung instead.